Have you got Pinterest yet? Why not? It’s great! How crazy weird is this? 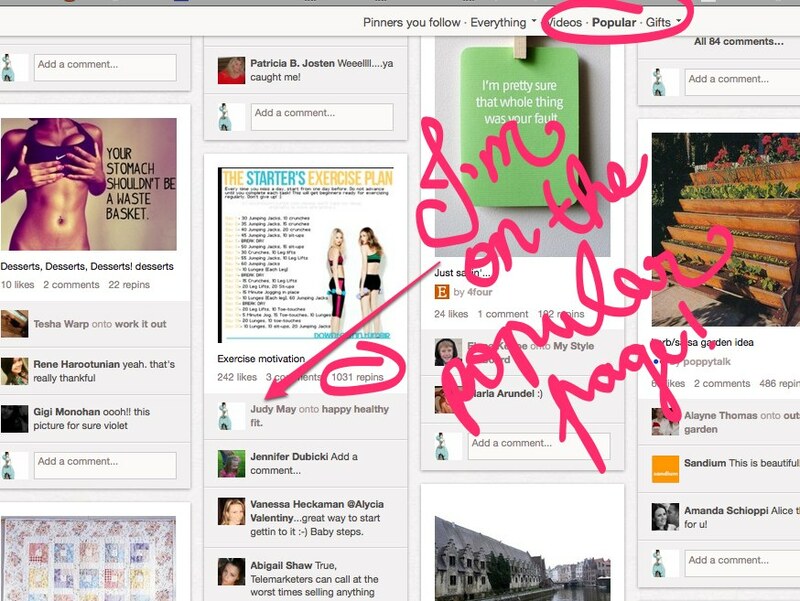 My one little starter exercise plan pin and I’m on the Popular Page! With over 1000 repins… to think I’d started to hate that pin because it was showing up in my activity feed all the time!